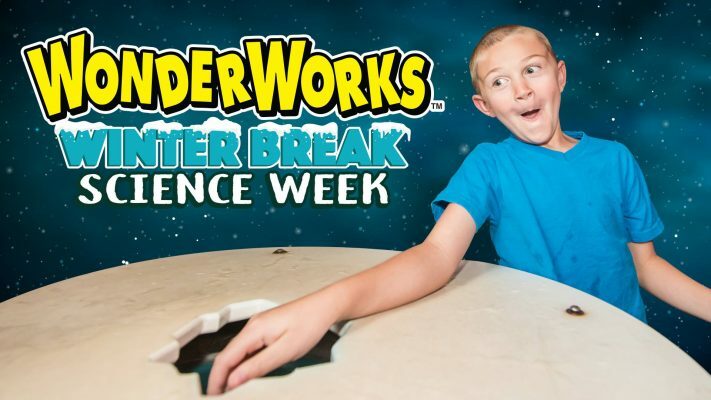 Winter Break Science Week @ Wonderworks! Don’t let the cold weather blues get you down this winter break. Warm up inside WonderWorks during our amazing Science Activity Week! From February 18 through 22, WonderWorks will host five days’ worth of STEM educational activities for guests to enjoy! The upside-down amusement park is the perfect “stay-cation” outing to stay warm and have fun with the entire family. All the activities are FREE for annual pass holders! Buy an annual pass and come all week long! Guests can purchase an individual ticket to each science event for $5.00 per event or purchase a VIP Combo ticket to enjoy the activity of the day for free in addition to all WonderWorks exhibits. Tickets are limited so we recommend buying the tickets in advance.